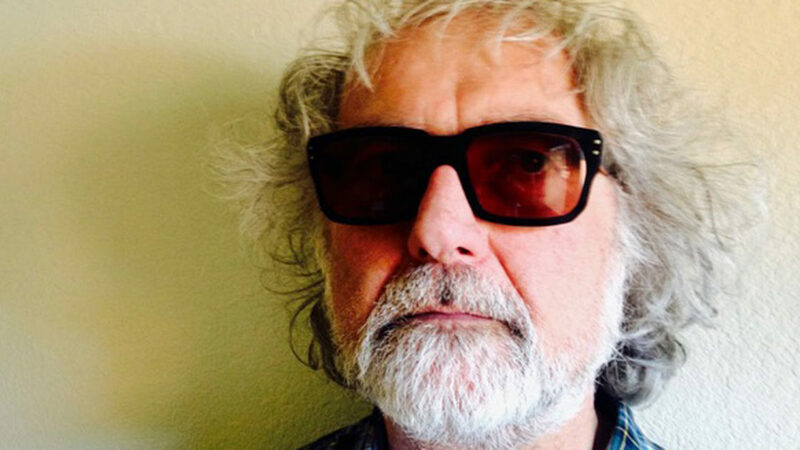 We’re looking for people to host Scott McCaughey Living Room Shows in July. Do you have big living room, loft space, community space, art gallery, yoga studio, recording studio, coffee shop or other space where we can do a private show that can comfortably and safely host 40-60 people? If so, please read everything below and get in touch if you live in or near these areas and want to host. Scott would love to play a show at your place! Scott McCaughey sees himself as a singer/songwriter by trade, though his path has often found him serving other roles. He’s happy as can be as producer, bassist, keyboardist, guitarist, recordist, cheerleader, etc. — as long as he’s making music, which he has managed upwards of 40 years. You may recognize him from an 18-year relationship with R.E.M., as unofficial member on stage and in studio. Or perhaps you remember his still-Seattle-based, beloved/ignored/revered/ridiculed Young Fresh Fellows, one of the greatest live rock’n’roll bands of all-time? Then there’s his work with The Baseball Project, Filthy Friends, Robyn Hitchcock, Alejandro Escovedo, Tired Pony, M. Ward, Tuatara, Arthur Buck, Roy Loney, etc. etc. Deadline for submissions is April 26. 1. You have a big house, loft space, community space, art gallery, yoga studio, recording studio, coffee shop or other space where we can do a private show that can comfortably and safely host 40-60 people. There needs to be street parking, parking garage or public transportation nearby and your neighbors should be cool. It would be a huge bummer if someone called the cops because of all the extra cars and people coming to your place. You probably shouldn’t do this if you live in a tiny apartment with a bunch of uptight neighbors or a cranky landlord. Be realistic on how many people your place can hold. We need to know how many tickets we can sell in advance. Sorry, we can’t do these shows outside. Thank you for agreeing to host this performance for Scott McCaughey (ARTIST). We are excited to work together with you (HOST) to make this a successful, safe and enjoyable evening for everyone involved. Please read over this to make sure we are in agreement on how things will work for the show. WE agree to provide one musical performance by ARTIST, approximately 60 – 90 minutes in length. Unless otherwise stated, the HOST will not need to provide a sound system. HOST agrees to provide the venue in good working order, clean, safe and well lighted. WE agree to handle all admission charges and that the HOST will not be responsible for paying ARTIST. HOST agrees that the venue can adequately and safely accommodate and agreed number of guests. HOST agrees that no other musical acts will appear without prior written consent. HOST agrees that the venue will not change without prior written consent. HOST agrees to notify their neighbors about this event and that the HOST has no reason to believe that this event will cause undue stress on the community or neighborhood. HOST will be responsible for checking guests in at the door. WE will provide the HOST with a list of people that have paid for admission to this performance. If anyone arrives at the venue that is not on the provided list, the HOST will not allow this person in unless they are a previously invited, complimentary guest of ARTIST or of the HOST. In certain circumstances, unexpected guests will be allowed in if both the HOST and ARTIST are consulted and in agreement and if the unexpected guest pays the full admission price to ARTIST. WE agree that the HOST is not responsible for providing food or refreshments to ARTIST or anyone in attendance. WE agree that we will work together with the HOST to make sure that no one enters the venue with any food or drinks unless the HOST has agreed to this in advance. WE agree to work together with the HOST to make sure that any inappropriate behavior by guests is stopped, and if necessary, WE will work together with the HOST to ask uncooperative guests to leave. HOST understands that ARTIST may sell merchandise at the venue, including but not limited to Vinyl, CDs, Shirts. WE agree to work together with the HOST to make sure all guests leave before 10pm or within 30 minutes of the end of the performance. The HOST understands that ARTIST is not obligated to remain at the venue after all the guests have left. WE agree that if necessary, WE will be in charge of any necessary refunds. It is understood that this agreement is only between the HOST and ARTIST and that Undertow assumes no liability. If you, the HOST, agree to everything weʼve outlined in this document, please digitally sign by agreeing and accepting below. If you have any questions, comments or concerns about this document or anything else, please do not hesitate to call or email us so we can sort things out quickly.